We run Birmingham Adobe Photoshop Courses that can be delivered anywhere in the Birmingham area, we can come to your office and deliver the Birmingham Adobe Photoshop course at a time and date that suits you. We also have a state of the art Adobe Training studio just 45 minutes away in Derby if you would like to travel to us for your Birmingham Adobe Photoshop Course. We have a huge number of delegates who visit our Adobe Training Studio in Derby every month from Birmingham as we are very easy to find, only 10 minutes from Derby railway station and we also have free onsite parking for all delegates who attend our Birmingham Adobe Photoshop Course. 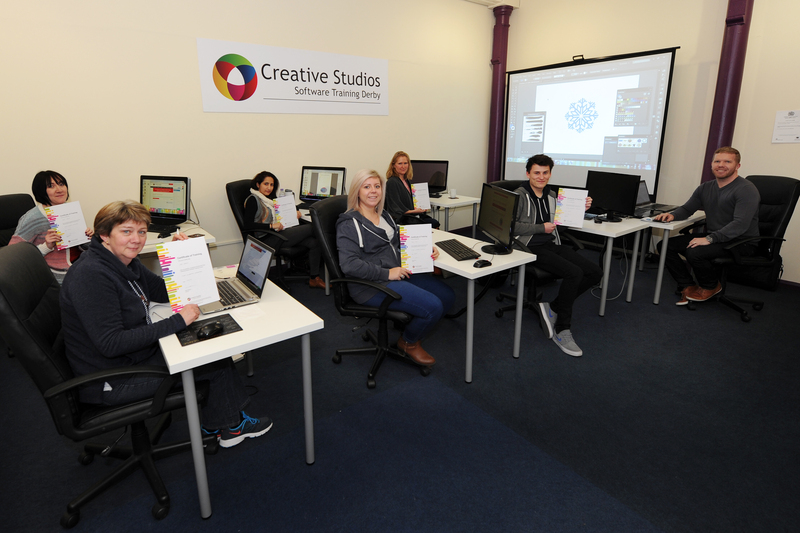 Read what a few of our recent delegates have to say about our Birmingham Adobe Photoshop Courses…..
Our Birmingham Adobe Photoshop Course Training is designed for the busy professional. Our Adobe Photoshop Trainers have many years of experience in producing short intensive courses in a relaxed manor that combine practical exercises with lots of hands-on instruction that will ensure you learn everything you need to know quickly and easily. Our Birmingham Adobe Photoshop Courses are always delivered in small manageable groups so every delegate gets plenty of one to one time with the trainer so we can be sure to understand your specific requirements and enable us to make sure the Birmingham. Adobe Photoshop Course has all the content you need to get up to speed. If you would like more information, course outlines or a no obligation quotation for your Birmingham Adobe Photoshop Course please fill in the form below and we will get back to you. If you are based in Birmingham and would like to visit us to attend one of our scheduled classroom based Adobe Photoshop Courses in Derby we have two options, a one Day Adobe Photoshop Course or a more in-depth two Day Adobe Photoshop Course, on each course page you can find all of the information and breakdown of everything that is covered. We are only 45 miles from the Birmingham Bullring! All of our scheduled Adobe Photoshop Courses include refreshments all day, lunch and a printed certificate of achievement to show you have completed all elements of teh Adobe Photoshop Course. For travel information from Birmingham to Derby you can visit the Birmingham City Council website where you can find links to bus and rail travel information, by car we are just up the A38 or 10 minutes off Junction 25 of the M1. So whether you want your Birmingham Adobe Photoshop Course delivered onsite at your premises or you would like to visit us in Derby the choice is yours! We can also provide the Adobe Photoshop Training as an online course or over Skype with screen share so there really is no excuse not to be getting yourself up to speed with this industry standard Photo Editing Software to make all your photos look amazing!